Two Bay Area contestants are on this season of The Bachelor. Jasmine (left) is a Warriors dancer from San Francisco, Josephine (right) is a registered nurse from Santa Cruz. 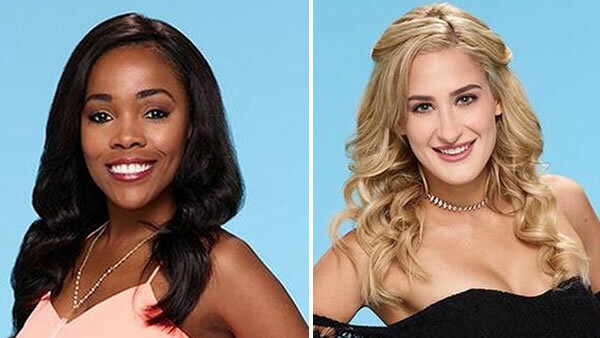 SAN FRANCISCO (KGO) -- If you needed another reason to tune into this season of "The Bachelor," it turns out two women from the Bay Area are on this season. Jasmine is a Warriors dancer from San Francisco and Josephine is a registered nurse from Santa Cruz. Josephine has already made a stamp on the show after she asked bachelor Nick Viall to eat a raw hot dog on their first meeting. This new season is already off to a crazy start with girls going to great lengths to catch the eye of Viall. Viall is no stranger to "The Bachelor" franchise, and has appeared on three other seasons. "I would argue that being the bachelor is much better than being on Tinder. If comparing those two options I think I would always choose to do the bachelor," Viall told ABC7 News. "But in all seriousness, between my times on the show I've always been out there I've always been dating. I've been open to meeting someone." Viall says he feels like a lucky guy to have 30 women vying to be the love of his life. You can watch "The Bachelor" Monday's on ABC7 at 8 P.M.